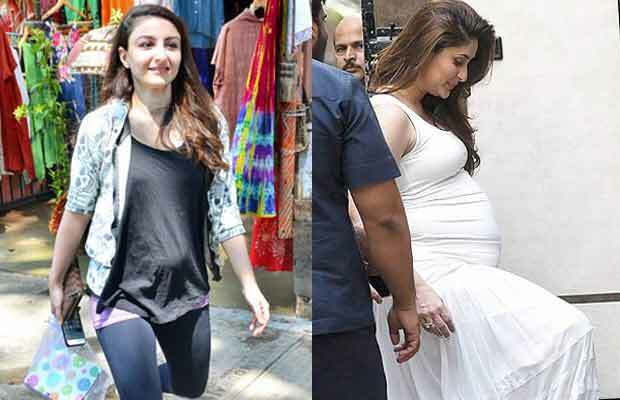 Home BOLLYWOOD Soha Ali Khan UPSET On Being Compared With Kareena Kapoor Khan’s Pregnancy! Soha Ali Khan UPSET On Being Compared With Kareena Kapoor Khan’s Pregnancy! Saif Ali Khan’s sister Soha Ali Khan reacts on being compared with Kareena Kapoor Khan’s pregnancy. By now it’s known to all, Bollywood couple Soha Ali Khan and Kunal Kemmu are expecting their first child together. A couple of months ago, speculations were rife that Saif Ali Khan’s sister Soha is taking tips from her sister in law Kareena Kapoor Khan about pregnancy. Soha then planned to start her family and there came a good news for the Pataudi family. While Soha is stepping into the new phase of her life, the actress feels that talking about her pregnancy is too personal. She said, “Kunal and I get nervous talking about things that are so personal. We still have a while to go, so we’re just looking for positive vibes,” reports HT Cafe. Previous articleKrushna Abhishek SPEAKS UP On Competing Again With Kapil Sharma! Next articleBox Office: Aamir Khan’s Dangal Breaks Record In China On First Day!